What is a solar flare and how does it affect us? A solar flare is a magnetic storm on the Sun, which appears to be an especially bright spot and a gaseous surface eruption such as in the above photograph. Solar flares release vast amounts of high-energy particles and gases that are tremendously hot. They are ejected thousands of miles from the surface of the Sun. 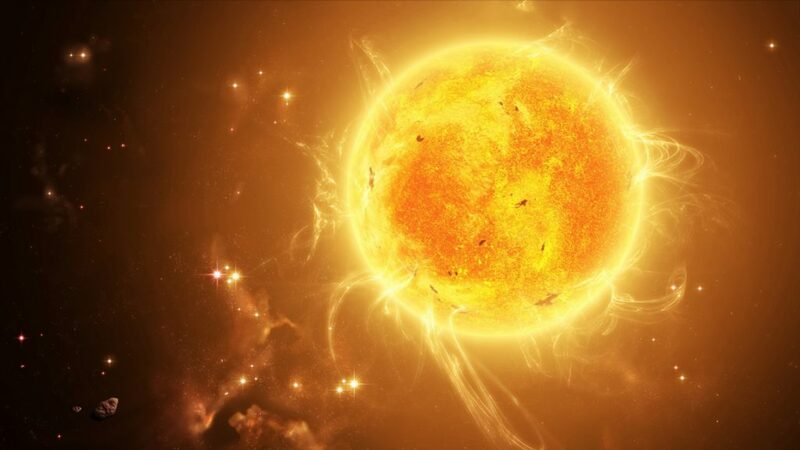 There appears to be a direct connection between the Suns solar storms and human biological effect, especially after an X-class solar flare. The conduit, which facilitates the charged particles from the Sun to human disturbance is the same conduit which steers Earth’s weather through the Magnetic Field on Earth, and also through the magnetic fields around humans. Earthquakes, volcanic eruptions, hurricanes, tornadoes, and wind storms appear to occur after the intense solar activity on the sun. There is a direct connection between the Sun’s solar storms and human biological effects. The conduit which facilitates the charged particles from the Sun to human disturbance is the very same conduit which steers Earth’s weather the magnetic field. Animals and humans have a magnetic field which surrounds them in the very same way the magnetic field surrounds the Earth as a protector. Electromagnetic activity from the sun affects our electronic devices and human electromagnetic field. We are physically, mentally, and emotionally altered by electromagnetic charges from the sun, our body can feel sleepy but also become highly energized. 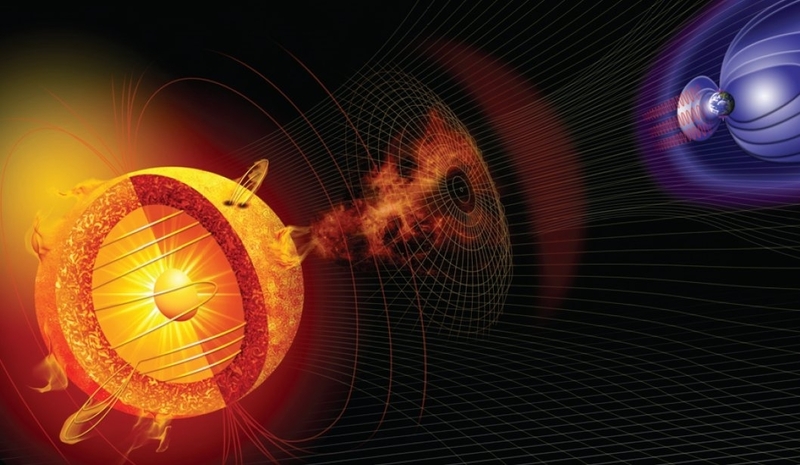 Psychological effects of CMEs (coronal mass ejections) are typically short lived and include headache, palpitations, mood swings, and feeling generally unwell. Chaotic or confused thinking, and erratic behaviors also increase. Solar storms can drive our emotions and maximize it to both good and bad side – the point here is to be aware of it. Pineal gland in our brain is also affected by the electromagnetic activity which causes the gland to produce excess melatonin, a hormone which can cause sleepiness but it’s also known that some people have opposite side effects, usually those that are aware of the effects. Our pineal glands have excess melatonin production during solar storms – electromagnetic activity. Many biological effects of melatonin are produced through activation of melatonin receptors, while others are due to its role as a pervasive and powerful antioxidant, with a particular role in the protection of nuclear and mitochondrial DNA. Pineal gland is also referred as the third eye, and the third eye is also known as the inner eye. The third eye is a mystical and esoteric concept referring in part to the ajna (brow) chakra in certain dharmic spiritual traditions, in particular Hinduism. This concept was later adopted by Christian mystics and spiritualists as well as people from other religious faiths. It is also spoken of as the gate that leads within to inner realms and spaces of higher consciousness. Among Christian mystics, the term is used in a broad sense to indicate a non-dualistic perspective. In spirituality, the third eye symbolises a state of enlightenment or the evocation of mental images having deeply personal spiritual or psychological significance. 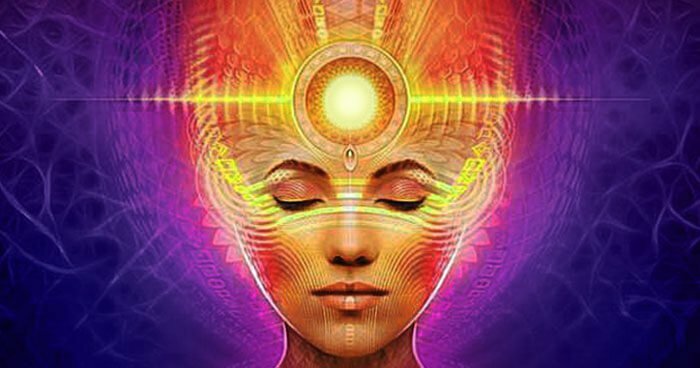 The third eye is often associated with visions, clairvoyance (which includes the ability to observe chakras and auras), precognition, and out-of-body experiences. People who have developed the capacity to utilize their third eyes are sometimes known as seers. The solar flares and photon waves from the Photon Belt are changing the fabric of our physical reality as they have a dramatic effect on our physical cellular level, causing our cellular memories to awaken and clear. We often encounter this as the body heating up in the form of hot flashes. Our lower emotions are low-frequency energy stored in our cells from past experiences and traumas that we have encountered and never processed, so they become stored as cellular memories. Photon energy is a much higher frequency energy that pulls up the lower emotional frequency so it can calibrate to the higher frequency; thus we find ourselves releasing these lower emotions of sadness and grief without knowing why. These spells will last for about twenty minutes, and we are left wondering where these feelings came from out of the blue. The elements of our blueprint are interfaced in the cellular consciousness, and when the blueprint is amplified through photon energies various elements of the blueprint leak into your consciousness and we begin to remember our soul’s purpose. We are pulled to make changes in our life, but we don’t actually understand why. The interesting fact about this energy is that since it is of a higher frequency it creates the power of instant manifestation of our thoughts, which means whatever we think, we create instantly. This never before happened in our lifetime, and that is why many people are writing books on the subject on the Power of Attraction. Photonic energy connects to our thoughts, so it is essential that we know what we want, rather than we don’t want; otherwise, we will manifest more of what we don’t want. If you are in the process of change and transformation, this energy works well for you. On the other hand, if you are stuck in the past through victimization and anger, you will certainly manifest more reasons to remain stuck in victimization until you are ready to release it. We create beautiful life transformational Meditation Tools for raising consciousness, reducing stress and clearing emotional and electromagnetic interference. © Copyright 2019 Energy tools are only intended for meditation and not to diagnose, treat, cure or prevent any disease.